First of all, let’s discuss your car’s paint code and what that means to local body shops in the area. 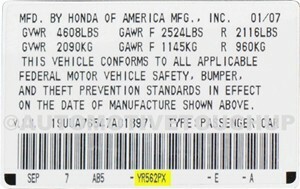 In your car, there is a label that has the paint code on it. It could be on the door, or somewhere near the VIN number. Unlike a local hardware store that can punch in a code and make a can of paint for a room in your house, a car’s paint code is merely a starting point. In automotive refinishing, there are allowable variances from the manufacturer. Quite often the vehicle you drive is made in several locations, and sometimes the manufacturer can switch paint suppliers mid model year. What then happens is that one formulation is slightly darker or lighter than another paint brand. To address this, the carmaker creates a “factory standard” formulation, and then allows between three to seven alternates that are worth formulating. There is actually more but the auto paint manufacturers have narrowed them to down to keep the databases simple to use. 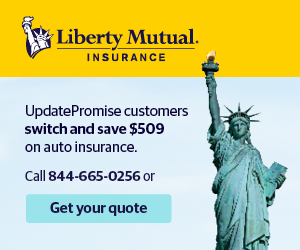 Why Do the Car Manufacturers Have So Many Variances? Most manufacturers have three major paint suppliers. 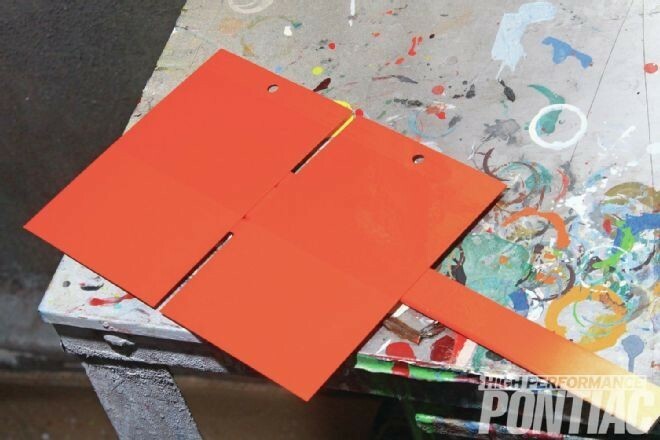 The manufacturer decides on a standard color for production and submits a painted sample to their suppliers. The paint manufacturer then produces a formula for the “standard sample” and is allowed a tolerance of plus or minus 5% when they deliver the paint. Next, you have to contend with variances in geography. Although it is less common now than it was years ago, there are some cars that are built in different geographical areas in order to keep up with demand. The plant in the east coast may be getting a 5% shade more red on a blue metallic standard while the plant in the west coast may be getting a 5% shade more violet on the same blue metallic standard. When compared side by side, they look like a completely different color. This is why the paint manufacturers usually have a standard formula, followed by two alternates. If the alternates are not available, the painter in the body shop usually mixes the standard formula, and then tints it accordingly. Metallic colors are hardest to match. As a matter of fact, modern metallic colors are now classified in 7 categories: extra fine, fine, medium, medium-coarse, coarse, and extra-coarse. The metallic colors control the value (lightness and darkness) of the color, similar to what white does in a pastel color. EVERYTHING affects a metallic color when it is re-sprayed. Everything from the paint gun’s fluid tip sizing, the humidity, ambient temperature, paint thickness, distance to the panel, gun pressure, fan size, etc. All of these will affect a metallic paint job because of the way the metallic particles lay down. Depending on how they lay down, they can seriously alter the color to appear several shades lighter or darker. Furthermore, the longer it takes to dry, the darker the metallic color will change as it dries. This is caused by pigment floatation. The metallic flakes will settle down to the bottom of the paint film and push the pigment up, causing the color to shift darker. Yet, despite these challenges, we will perfectly match your car’s paint to factory paint. One way we do this is by using spray test panels. We do this in order to make sure your colors will perfectly match before we pull your car into the paint booth. Unfortunately, many other high volume and high production shops might not take the extra time to perform this necessary function. They simply may not have the time, and they may be conscious to the fact that painter is getting paid a weekly bonus based on how many cars come through his booth. At our shop, we rely on manufactures’ paint codes as a starting point, then we do spray panel testing, and finally we rely on our own experience to produce a perfect match. If you choose Camden Body - Towson, or any other reputable shop, your paint will match. This is why it is so vital you choose widely when selecting your paint shop.